All scholarships will be need based and open to all girls and women. We intend on funding everything from small stipends to help students attend primary and secondary schools to college tuition and associated expenses for those seeking advanced degrees. Sometimes students just need help with some very basic yet essential items like personal care products, a school uniform, pencils, and transportation expenses to get to school. We will consider anything that helps a student get to and stay in school. The mountains and desert of Ladakh are beautiful but can also make it very difficult to deal with dangerous situations.If there is a natural disaster or if a woman and her children need a safe place due to a personal crisis there is currently no place for them to go to seek refuge. One of our top priorities will be to help fund a woman's shelter for Ladakhi Women's Welfare Network. We will support any training/learning opportunities for women of all ages. Many women come from circumstances where it was difficult and even impossible to pursue their education while growing up so there is a need for learning opportunities for both traditional and nontraditional students. Temporary assistance will be evaluated on a case by case basis as there's a wide range of possible serious situations where it might be needed. 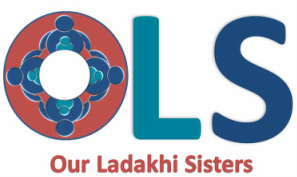 In the event of a natural disaster we will be an established organization able to take tax deductible donations in America and disperse funds to Ladakhi organizations coordinating relief efforts.